Join Nick Bielak for a punchy introduction to some of the important buzz words of contemporary Italian wine… what’s exciting and what to look out for. Going beyond Italian Wine 101 (basics of Italian wine, main varieties and regions, culture and pronunciation), Nick will discuss hot topics including: menzioni geografiche aggiuntive in Barolo, the noble Italian red varieties, top Italian whites, the emerging south, the awakening of the giants– Italian coopertives. These are just some of the most exciting developments in Italian wine production. Don’t miss out for a session on tradition and transition in Italy! After several forays to Italy, Nick emigrated in 1996 and inevitably became involved in wine, working for a Puglian winery until 2003. After exploring the length and breadth of Italy’s vineyards from Alto Adige to Sicily, he returned to London with a view to disseminating the message of the exciting world of Italian wine to international markets. 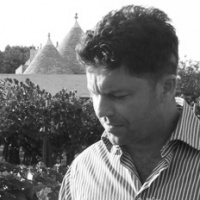 After a short experience at Bibendum as an Italian specialist, he started working with Nicolas Belfrage MW in 2006. Since then, he has had the privilege of working with this significant protagonist of the modern Italian wine époque, roaming Italy's vast expanse of DOCs and DOCGs, consulting with producers and ecologists, judging at major events (including Decanter for the last 8 years). He currently spends half his time in Italy, and half in London, whilst being challenged by the Institute of Masters of Wine.